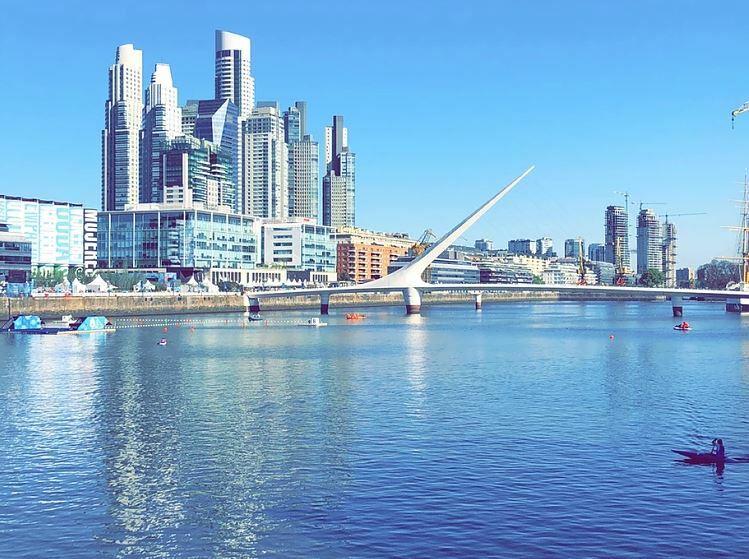 If you’re planning a semester with USAC in Montevideo, Uruguay you won’t want to miss the optional tour to Buenos Aires. This five-day trip will take you on a tour of the “Paris of South America,” Buenos Aires. You’ll explore the city’s rich cultural life, soaring architecture, and perfectly grilled steaks. You’ll also have a stop over in Colonia, a UNESCO World Heritage site with large squares and narrow cobblestone streets. 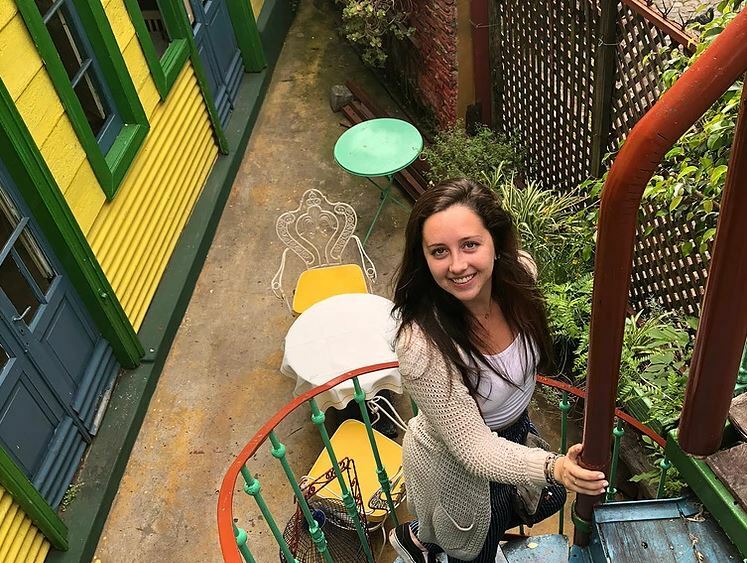 To get a full understanding of just how awesome this tour is, we had Jada Blokjuis, a former USAC student, provide a day-to-day recap of what’s in store on this optional tour to Buenos Aires. 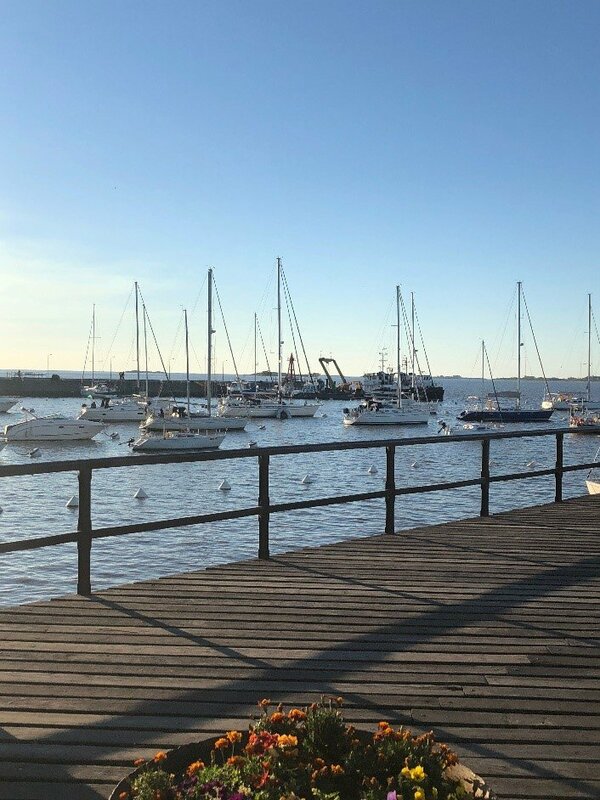 We myself and other USAC students arrived at the cute little town of Colonia del Sacramento, Uruguay, in departamento Canelones on Monday afternoon around 4pm. As soon as we arrived we had a private guided walking tour of the town. 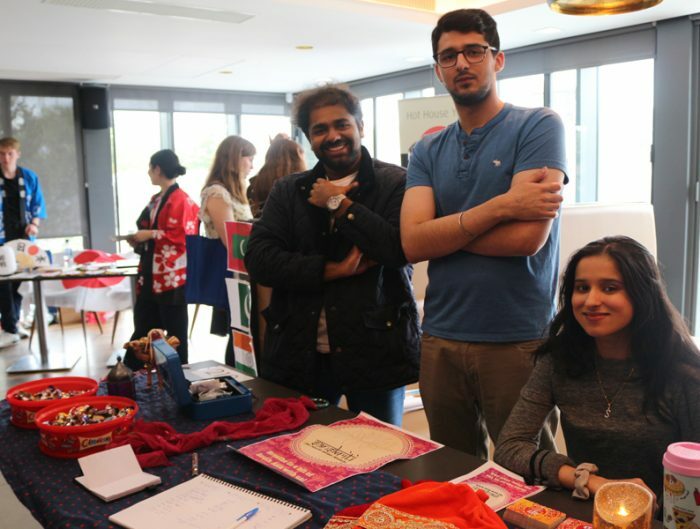 Here we learned more about the history of the town and saw the most famous touristic sites. I immediately fell in love with this little cobblestone town the minute I saw it. An interesting fun fact I learned about Colonia; back in the day it was a fort for both the Portuguese and the Spaniards and there are architectural differences that you can still see in the town today. For example, there are streets that are concave; these were the Portugal streets. The Spanish streets were convex (rounded) with sidewalks on the sides. 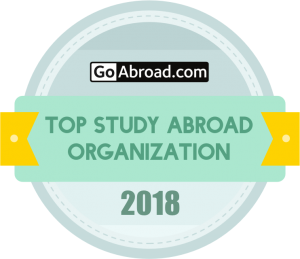 Another fun fact we learned is that they have 30 stray dogs. Don’t fret, these dogs are well taken care of by the local people and all have names. After a day touring and learning about Colonia del Sacramento, we watched the sunset at the pier which was beautiful. I wish I would have had one more day in Colonia to explore a little bit more and try out some more cafes, restaurants and bars. However, we had Buenos Aires waiting for us the next morning. At 10am we took a ferry from the Colonia port and arrived in Buenos Aires, Argentina at 11am. The first day was kind a free day where we could plan to do whatever we wanted. So my friends and I googled things to do at lunch and decided to go to La puente de la mujer (the famous bridge of Buenos Aires). After walking 30 minutes to the bridge we went back to the hotel to take a nap and ended up deciding to go check out a rooftop bar before dinner with the whole USAC group. Located on the 13th floor of a super nice hotel, we were welcomed with a beautiful view. Not to mention, when we walked into the lobby the front desk worker knew exactly what we were looking for, before we even said a word. “Skybar? 13th floor.” (we really must look American). 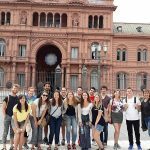 We started our day at 10am with a walking tour of the “northside” of Buenos Aires – more so known as the wealthier, more modern neighborhoods (Recoleta and Palermo). We saw a beautiful church, one of the oldest of the city, walked through Plaza de San Martin (lots of romantic history at this square). 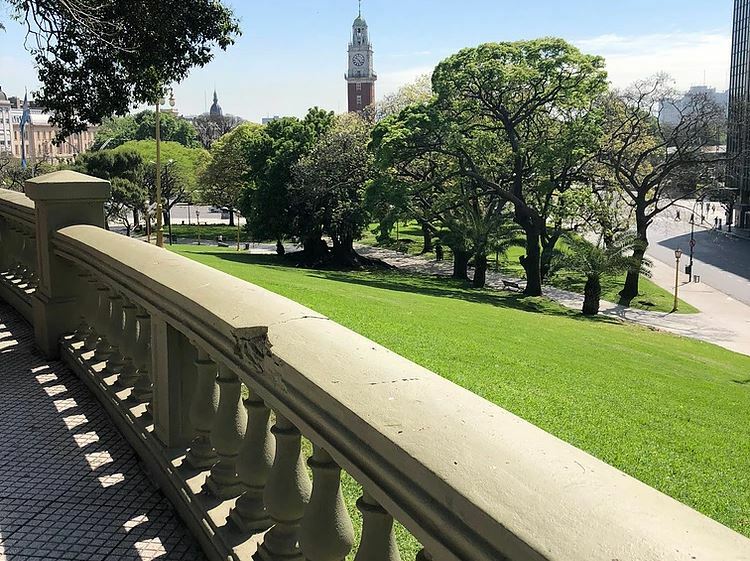 All of the plazas in Buenos Aires are so pretty and well kept up it would be easy to spend a whole afternoon reading a book and people watching. 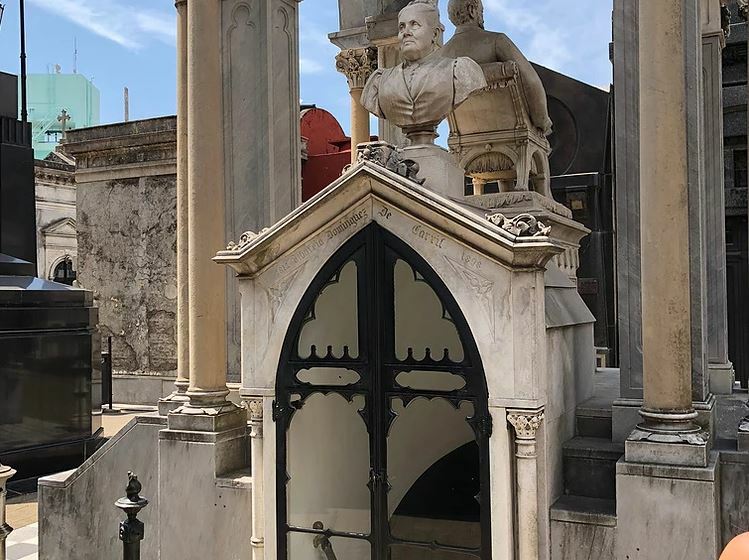 Finally after a while of walking (not to mention we passed by the old house of Ralph Lauren), we arrived at La Recoleta Cemetery. Never have I seen such cool architecture and so many “memorials” for all different kinds of people, presidents, politicians, and doctors. The history of this gigantic place was amazing. Our tour guide told us she has hundreds of stories about all of the memorials. I’ll quickly spill my favorite that she shared with us. There was a politician and his wife who lived out in the farmlands, however, when they found out how wonderful Buenos Aires was, they moved into the city. The wife suddenly realized how fun shopping was and continued to buy anything and everything. It was 1930, when the economy crashed and the husband told her to stop (she didn’t) so he publicly cut her off and they lived in silence for 20 years after that. So when he died she had a sculpture of him made and put it on the memorial, and before she died she had a sculpture of herself made but made it clear to have a mad/sad face so everyone would know she lived unhappily with this man. She also asked that the sculptures didn’t face each other so they wouldn’t have to talk or look at each other for the rest of eternity. I put a picture of this memorial on the slide pictures below to help describe this tragic story. After the cemetery we ate a delicious burger and then hopped on a bus and did the rest of the northside city tour. We stopped at La Flor, Parque de la memoria, La jardín de rosas, El Ateneo. I could tell you all about the history I learned at these places but I’ll save some time and add pictures. 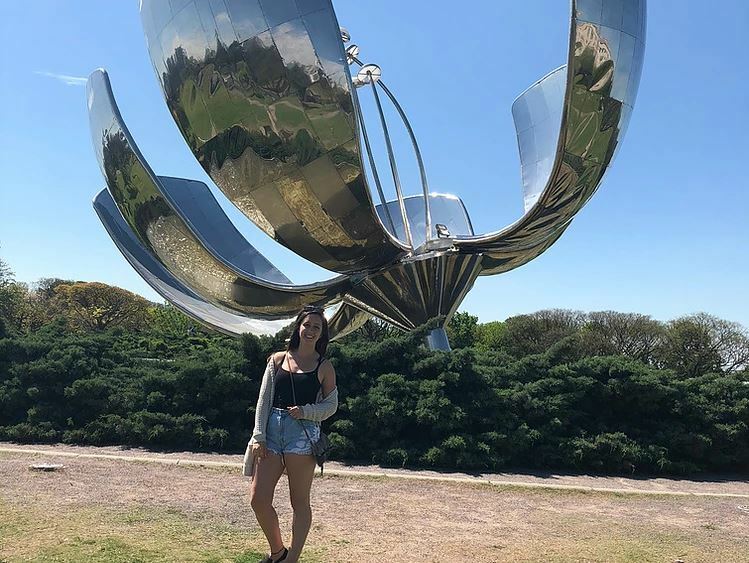 However, my favorite was La Flor because it is a monument that was donated to Buenos Aires by an American architect and it opens/close with the sun. We saw it when it was fully opened. After the group tour was done, I met up with a friend and we went to Museo de Arte Latinoamericano de Buenos Aires. Which was super cool – lots of modern art. We woke up at 9am again in order to meet our tour guide at 10. 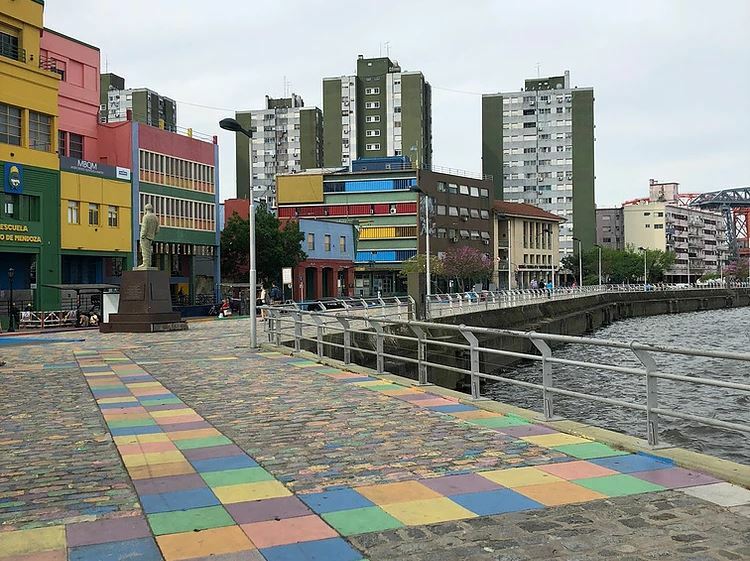 This time to go check out the “southside” of Buenos Aires – the older, poorer neighborhood called La Boca. Literally means “mouth” of BsAs because it was the first port where the immigrants would go to in order to enter Argentina. This beautiful colorful little neighborhood was full of stores, tango dancers, and restaurants (another place I wish I had more time at). For lunch we ate an amazing asado, a plate of grilled meat to share. I even tried a blood sausage, intestines and kidney (YUCK). 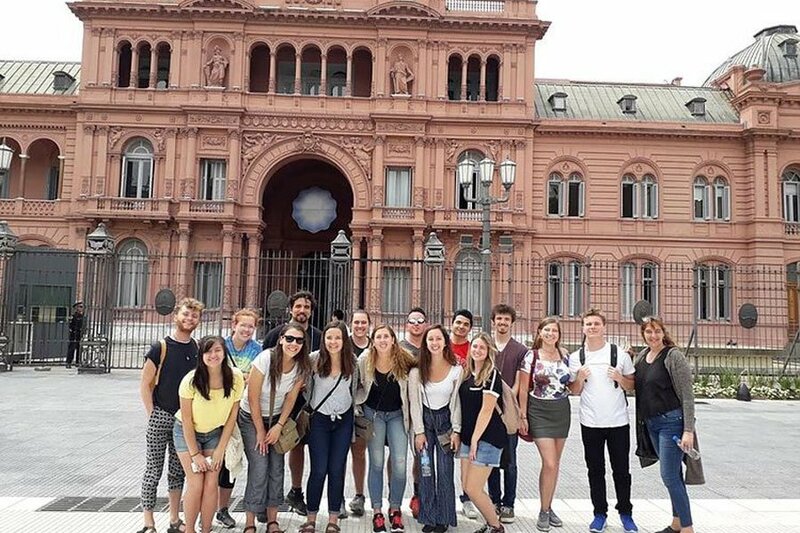 Before visiting La Boca, we walked to Plaza de Mayo where the most famous Catedral Metropolitana is and La casa rosada (where the president works). Both of which were amazing buildings with their own historical stories. After we completed the guided tour we were able to take a two hour break before dinner – so we all took naps in order to re-energize for our first night out on the town. 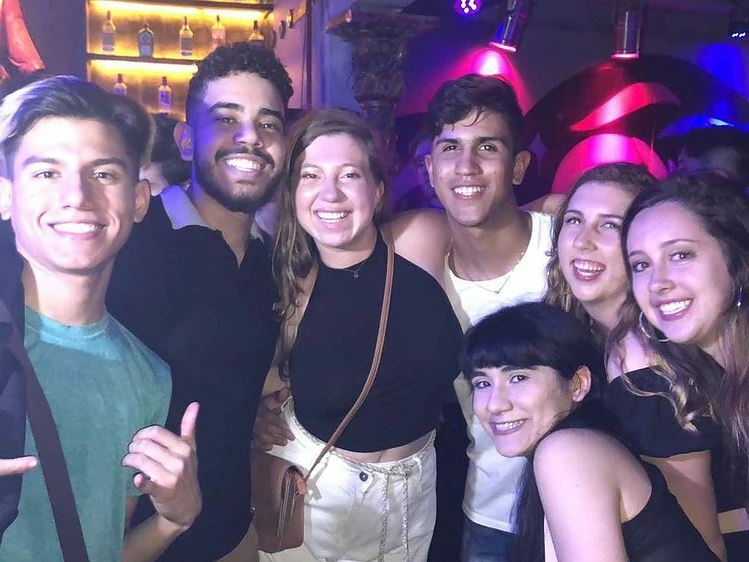 Long story short I have a friend studying in Buenos Aires right now and so she told us to go to Buda Bar, we met her there and had a great time chatting, dancing and meeting new people. A lot crazier than Montevideo for a Thursday night. After recovering from Thursday night, Friday was a free day. Celeste and I used this day to eat at our favorite place and order “ribs con barbecue.” I had been wanting to go to Jardín Japones the whole week, so after lunch we walked to this cute garden and hung out for awhile. 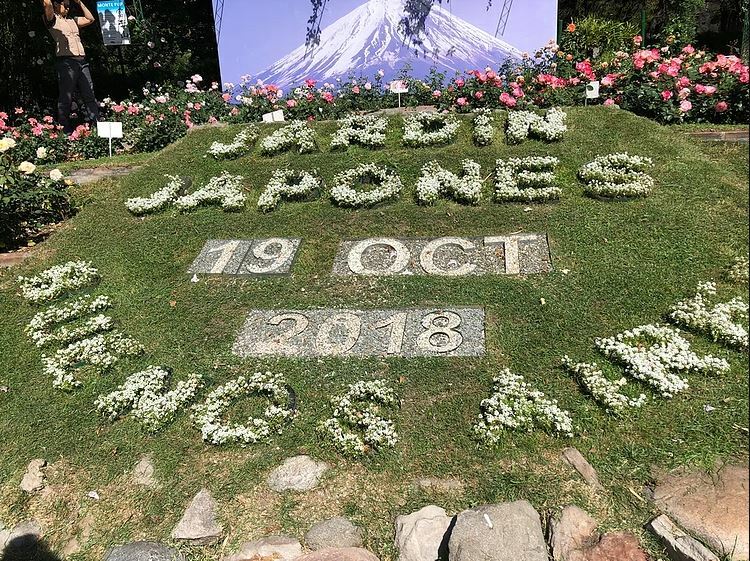 It was interesting because we were wondering why and what this garden actually was and we read a sign that said it was just a symbol of la amistad (friendship) between Japan and Argentina. 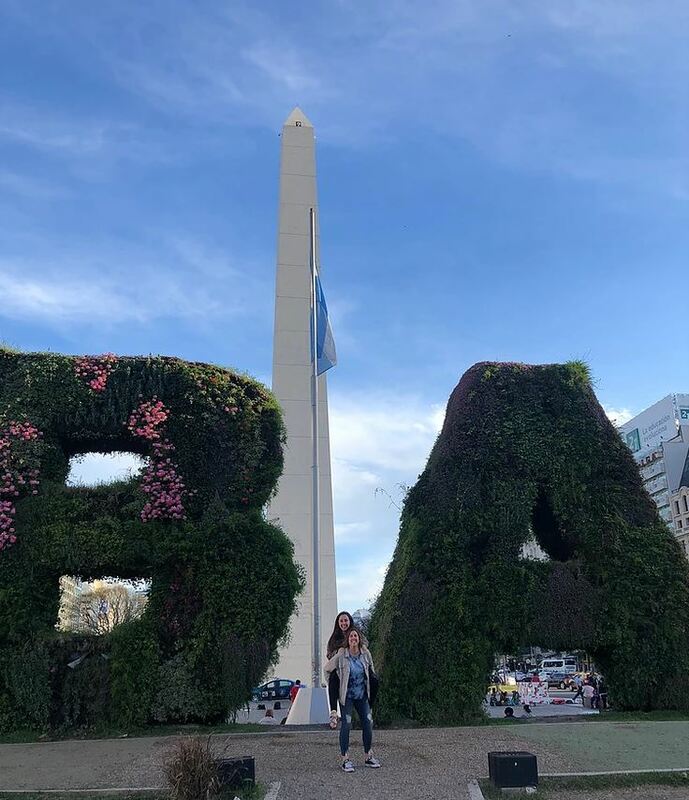 After leaving the garden we met up with the rest of the group and walked down to Obelisco de Buenos Aires which is the big famous BA sign that everyone takes pictures at but the monument behind it is more important. 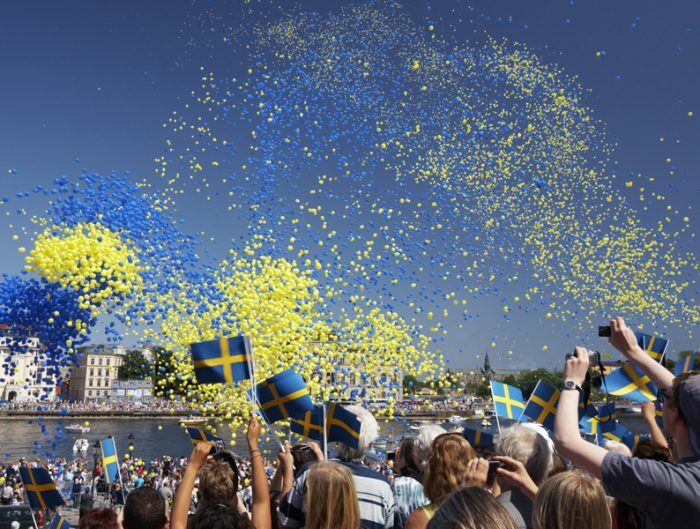 It marks the first foundation of the city. We walked through another beautiful plaza we hadn’t been to before in order to get to la librería (bookstore) where we listened to a book talk (in Spanish) about the two trips around/throughout South America on a motorcycle – Con el Che por sudamerica. To be honest, the only thing I found interesting was that they still had the same motorcycle he rode (1949 Norton 500cc). We then had a fabulous dinner at a nice restaurant and got ready for the night. Back to Montevideo we go. After a short week of vacation, Saturday morning at 10:30am we headed for the ferry to go back to Uruguay. It was a long day of traveling but I tried to sleep in order to make it go by faster. When I got back to my house I unpacked my things and talked with my host mom and sister for a little bit. 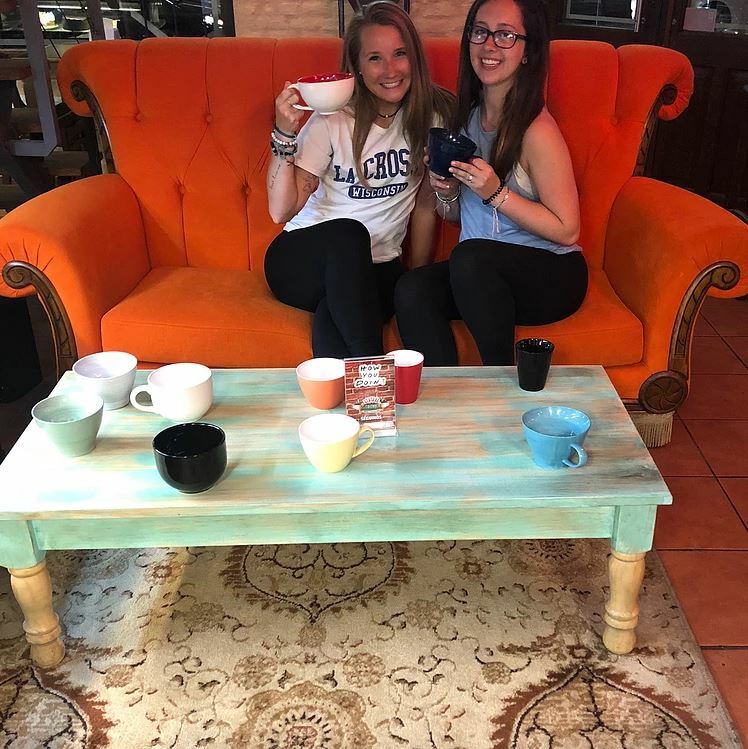 Kate and I met up at Central Friends cafe because we wanted to watch the first Creed movie (Creed 2 comes out in November and we both love the main actor – Michael B Jordan). Also we debriefed both of our weeks and it was a grand time. 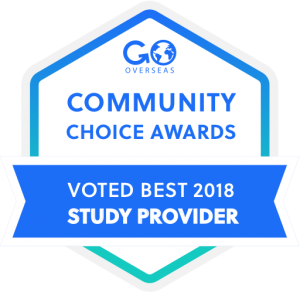 If you’re planning on studying abroad in Uruguay, don’t miss the opportunity to take this Optional Tour to Buenos Aires and Colonia Del Sacramento. 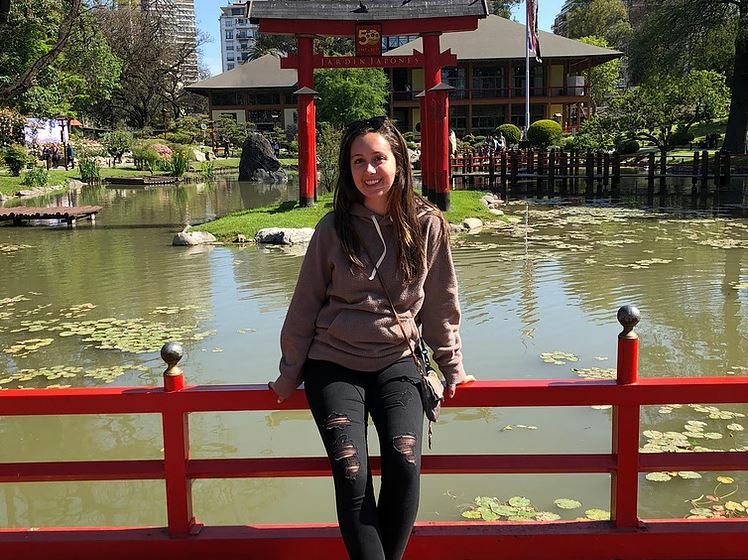 Jada Blokhuis studied abroad in Montevideo, Uruguay. 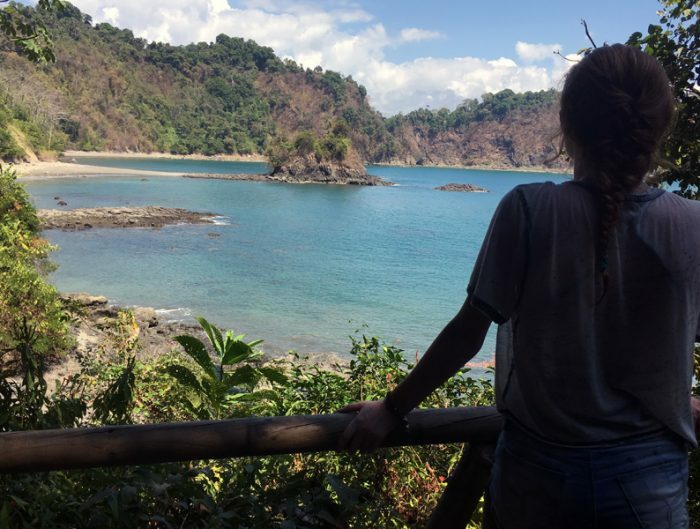 You can read more about her study abroad on her blog, Jada’s Journey.